just noticed the blue "edge". is that from gamma correcting? 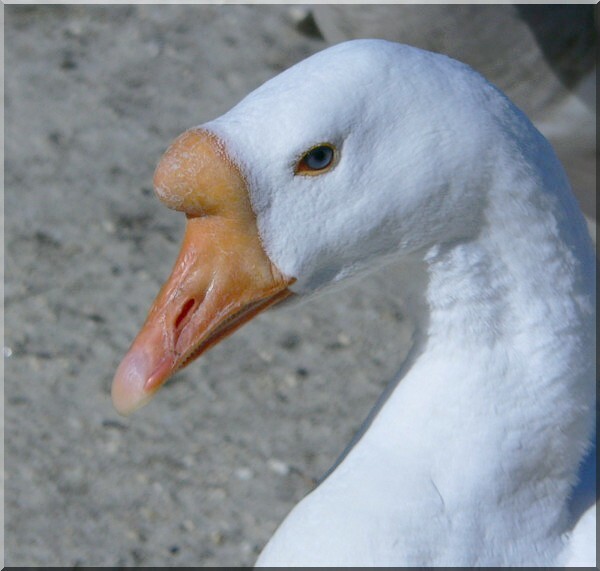 This is the most beautiful goose I've ever seen. SB it happens in high contrast areas with alot of digicams. It can be removed in post processing. ""Purple fringing" is the most common type of chromatic aberration in digital cameras. Edges of contrasty subjects suffer most, especially if the light comes from behind them. Other types exist as well, such as the cyan/green and red fringing. Chromatic aberrations occur more in consumer and prosumer digital compact cameras, but SLRs can suffer from it too." Looks like it's cocktail hour for you and Nick so I'll be going now..................:?